Ernest Wilmot Guptill was born September 5, 1919 on Grand Manan Island, New Brunswick to Arthur Gerald Guptill, a fisherman, and Hope Evelyn Reade. He was one of three children. Guptill graduated from Acadia University in 1940 with a Bachelor of Science and continued his education at the University of Western Ontario earning a Master of Science degree in physics. While there, he worked as a physics demonstrator. In 1946, Guptill received his PhD from McGill University and completed his doctoral dissertation titled, “A Linear Accelerator for Electrons.” During the war and his time at McGill, Guptill worked with the Canadian National Research Council and studied radar waves; this ultimately led to his co-invention with Dr. W. H. Watson of the slotted waveguide antenna, a device used by aircraft, ocean vessels, fishing boats, and NORAD’s nationally linked radar stations. 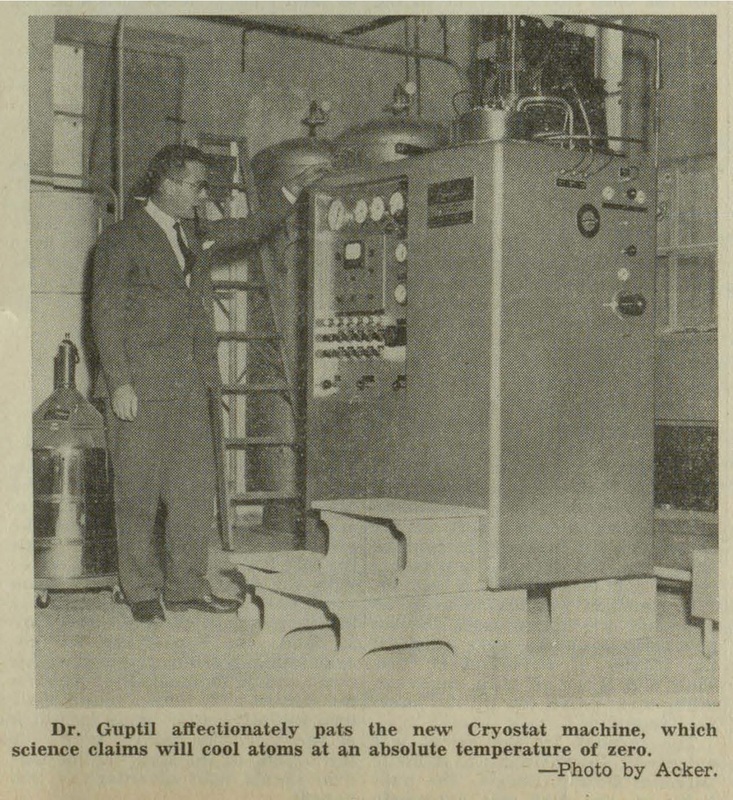 In 1947, Guptill came to Dalhousie University where he worked as a professor in the Physics Department for 10 years. After one sabbatical year at the University of Leiden in the Netherlands, Guptill returned to Dalhousie as head of the Physics Department in 1958, a position he held until 1968. Throughout his career, Guptill’s main research interests were waveguide theory, microwave technology, and contact potentials and the electric fields in accelerating copper. He served on the National Research Council and on the Nova Scotia Research Foundation. 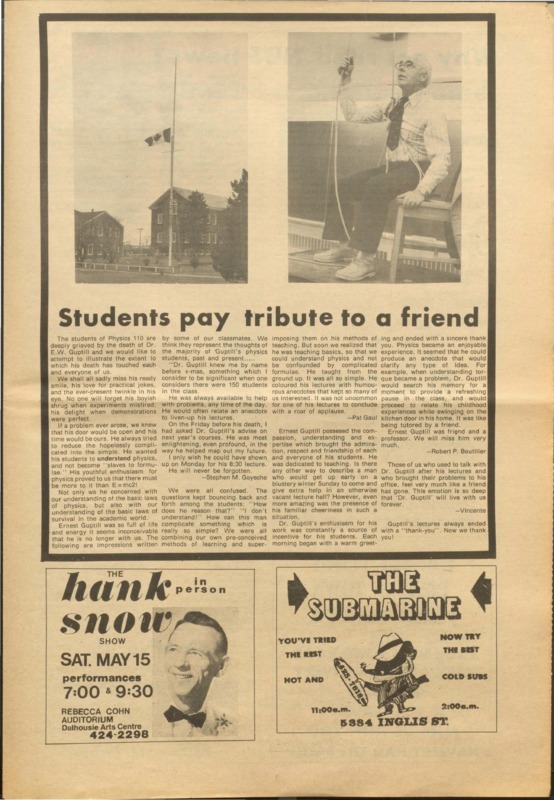 Guptill died of hypothermia during a fishing trip on March 20, 1976 when the boat capsized and he attempted to save a friend who could not swim. He is buried at Bleumortiers Cemetery on Grand Manan Island. The Dalhousie Physics Department honors his legacy and work annually by hosting the E.W. Guptill Memorial Lecture with discussions from leading researchers. Archibald, W.J. (1977). 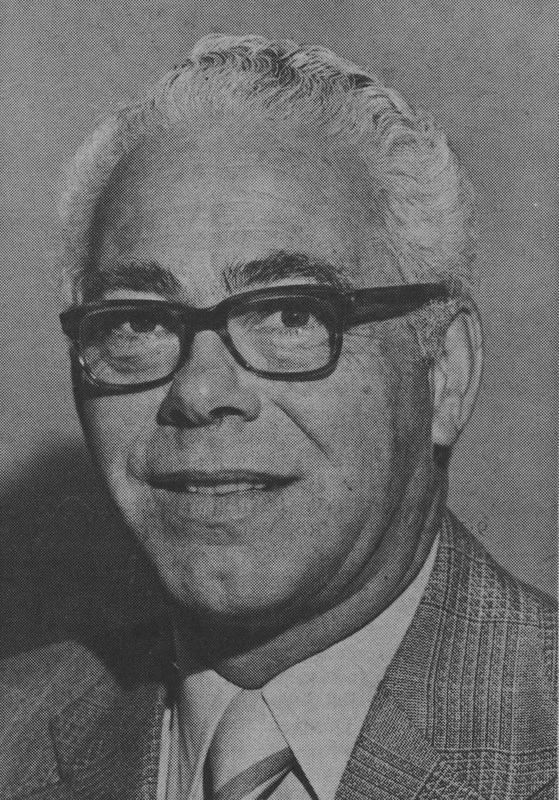 Ernest Wilmot Guptill, 1919-1976. Proceedings of the Nova Scotian Institute of Science, 27(3/4), 180. Dalspace.